Microsoft has revealed the price of its forthcoming on-demand gaming section for the Xbox 360, with titles likely to range from 1600-2400 MS points. This equates to around £13 to £20 per title for gamers, and was confirmed to Joystiq by Microsoft as the likely opening cost when the service goes live on 11 August. This means the games, with less packaging and distribution to worry about, will actually cost less than their high street equivalents, which might see a glut of users who don't care about holding the physical media switching quickly to an online version. Early options available as a download only include Fight Night Round 3, Mass Effect, Need For Speed Carbon and Lego Star Wars: The Complete Saga. Microsoft has overhauled parts of the Xbox marketplace to change 'Xbox Original' to 'Games on Demand' as the launch later this month gets ever closer. 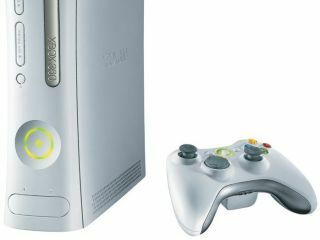 Those with the larger hard drives on their Xbox 360's will obviously be happy with the new option, but those with the minimal-memoried options (like the Arcade) will need to upgrade with an external hard drive, which may annoy some that have already shelled out for the console on shiny release day.